The ultimate toboggan run in the Zillertal! 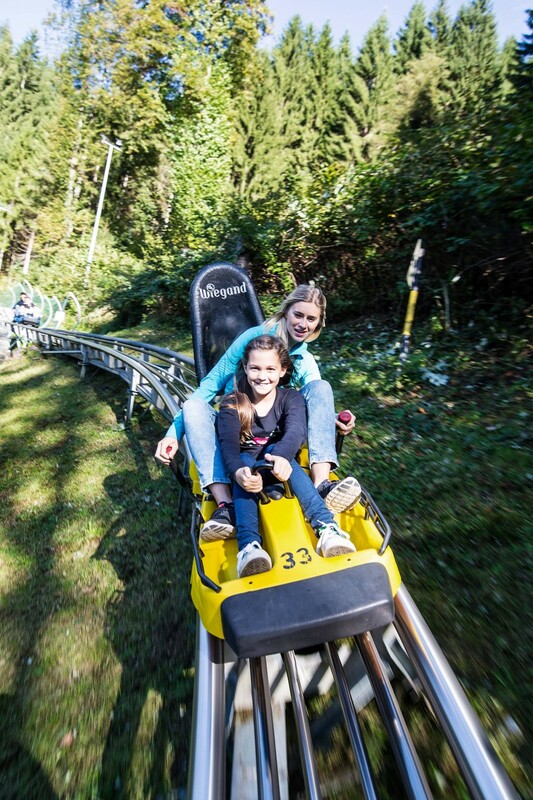 Fun, action and speed experience for young and old on the Arena Coaster, the first Alpine rollercoaster in the Zillertal! The 1,450 m of coaster fun begins right at the Zillertal Arena Valley Station in Zell with many waves, steep curves and jumps. Summer and winter attraction - not just for kids! A 360° loop and a 540° loop provide additional adrenaline. Where winter fun and snowy pleasures determine the holiday, a fast tobogganing party can not be missing! The two-kilometer-long natural toboggan run in the Krumbach Valley is illuminated in the evenings and thus also provides an indescribable fun at a later hour. From Monday to Sunday, Tobogganing fans will get their delight until 10.30 pm. On the day the driveway is also possible with the ski bus, in the evening a taxi transfer is offered to order. The longest toboggan run of the Zillertal is at the Hainzenberg. With It's seven kilometers track it´s an absolute must for all tobogganing lovers! The toboggan run is open from Monday to Sunday from 8.30 am until 4.30 pm. A descent on illuminated route can be experienced Monday to Saturday from 7:45 pm to 9:15 pm.